Remember Fighting Fantasy books? Remember playing Choose Your Own Adventure? Ah, those were the days - when your only problems in life were deadly curses and bloodthirsty ogres. But you're grown up now, you've got bills to worry about and it's clear your adventuring days are over. Or are they? What if the world needed your dice-rolling skills one last time? What if the fate of the world hung upon your ability to choose wisely between turning to p36 or p75? 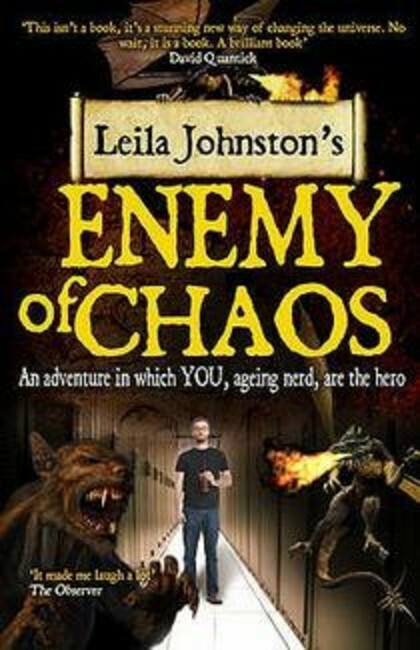 What if you were The Enemy Of Chaos?